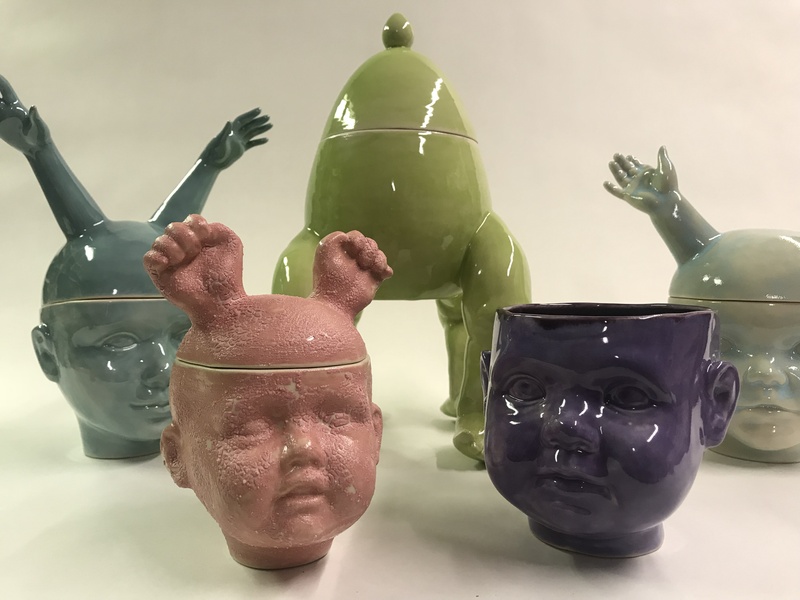 In her new show, Melody presents a new take on her “baby-ware” with all new items featuring unique colors and glazes. They are functional and fabulously creepy with a retro vibe — Mel’s work never fails to amuse. She will also have handmade ceramic jewelry, arm wall hooks, and more new items to temp you. Melody is a master ceramicist and one of Kanon’s oldest members and we are proud to exhibit her new show.